Nevertheless, I digress! The point I wanted to make about the above is that it helpfully opened up numerous debates about child protection in this country and the services available to both children and adults. This is also very positive, as for too long social work has been on the back foot, having to defend itself too often in the glare of yet another child abuse tragedy rather than actually get into the heart of the issue of being able to unpack what our work is about – complexities, ambiguity, intricacies and all! What we need to do is welcome and encourage healthy debate about the services that are in place (or in some cases not) to protect and promote the welfare of children and ‘vulnerable’ (I use this term hesitantly, as I know it is contested and seen as pejorative by some user groups) adults. If the public has a better understanding of what it is we do rather than being influenced by the propaganda of the right wing press, we have more chance in getting them on side and campaigning with us for better services. Protecting our Children certainly evoked a lot of debate from the posts I saw on both twitter and the online debate hosted by Community Care which included social workers, young people with experience of the care system and many others from different walks of life. Many expressed their frustration in the social workers not acting more swiftly in securing an emergency protection order or even police protection to remove the child from the family home. The living conditions in the house were shocking and this was after all a child aged 3 and a half, begging the question how long had he been living in these circumstances and what had professionals of various persuasion being doing all this time? On the other hand, others commented at the lack of support that had been offered to the parents. Had anyone picked up on potential learning disability in both parents? Rather than just being told what they needed to do to improve the situation for their child, were they being given appropriate support in parenting etc? What about Tiffany (the child’s mother) – had she received support as someone who had experienced domestic violence, counselling for her previous experiences as a young person, and, would she have been better able to meet the needs of her new baby in the context of no longer being in an abusive relationship? Inevitably, a case like this presents us with so many conundrums and different strands that we could spend from now until eternity debating the issues. However, what we also need to remember in Protecting our Children is that we did not have the luxury of watching what happened in real time and so we never saw the kind of services that we would expect (some of which I have already mentioned) on display to alleviate our anxieties. Nevertheless, I would say that whilst good social work practice is about achieving some degree of balance between support and safeguarding, safeguarding inevitably has to tip that balance and take precedence in situations we deem to be at an unacceptable level of risk, requiring us to exercise professional judgement which then of course, needs to be backed and reinforced by others in the system i.e. child protection case conferences, family courts etc. Holly Willoughby again asked Sallyanne a profound question in terms of ‘is love enough when assessing parenting’ to which Sallyanne responded very eloquently that whilst many of the parents that social workers work with do love their children, it is not enough if they cannot meet their needs. This really spoke to me as I had to do an interview for the French television channel Canal Plus a few weeks ago, where the journalist wanted to take the line that if parents went to court in opposition to their children being adopted, then somehow this was the ‘acid’ test and they had passed it. I told the journalist, with respect, it wasn’t necessarily my job to make a judgement call about whether or not a parent loves a child but rather to focus on their capacity to adequately meet their needs and not expose them to significant harm. Ideally, I don’t think it should be a case of ‘support versus safeguarding’ but sadly, feel that the pendulum has swung in this direction over the last decade, as pressures on resources and the ‘taylorisation’ of social work, has inevitably led us more into this either/or situation which is detrimental to the people that we work with in both adults and children’s services. Yes of course, some situations are so stark and extreme and merit authoritative intervention from the state. However, I am a firm believer that in order for social work to be effective the two need to work in tandem with a plethora of other support services being available and conclude that this is an equilibrium that we should keep striving to strike. To my mind, it is a usp of social work that practitioners can both be supportive and challenging of people in the quest to manage risk and we saw evidence of this in the Bristol programme. So, rather than accepting defeat in the battle for resources, accepting that this is the way things are and the latter is symbolic of a ‘by-gone’ era, it is my contention that we do not concede on such a critical point as to do so will only impoverish the profession, our service users and society. For the record, less isn’t more and greed isn’t good (a la Gordon Gecco). 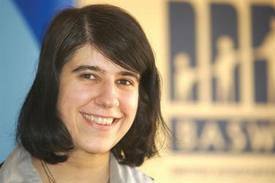 Nushra Mansuri (@BASW_UK) is the Professional Officer for BASW (British Association of Social Workers). Join us every Tuesday at 20:00 GMT / 15:00 EST for an exciting and enriching Twitter Debate @SWSCmedia.